Founded in 1990, the International Myeloma Foundation is the oldest and largest myeloma-specific charity in the world. Widely accepted as the leader in patient services, support, and advocacy; the International Myeloma Foundation is also recognized by the scientific community as the leader in results-driven, collaborative research that is making significant advances toward cure. One in four people will deal with a mental health issue in their lifetime and that one person’s life impacts so many more – families, friends, co-workers, and neighbors to name just a few. We are committed to helping everyone recognize that taking care of one’s mental wellness is as important and necessary as taking care of one’s physical wellness. When one of us realizes optimal health, the entire community benefits. 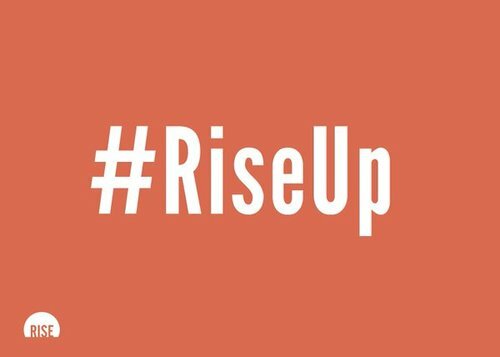 Rise is a national civil rights nonprofit. We help people pen their own civil rights into existence. In 2016, we drafted and passed the Sexual Assault Survivors' Bill of Rights unanimously through Congress, a feat only 21 bills in modern U.S. history have done. Rise has been recognized by New York Magazine as one of the best things that happened in 2016 and by the Washington Post as one of the top charities in America to donate to. The Alzheimer’s Foundation of America’s (AFA) mission is to provide optimal care and services to individuals living with Alzheimer’s disease and related illnesses and to their families and caregivers. Much like Mothers Against Drunk Driving was created to reduce drunk driving, Moms Demand Action for Gun Sense in America was created to demand action from legislators, state and federal; companies; and educational institutions to establish common-sense gun reforms. MentorPrize recruits mentors for nonprofit groups in the Greater Washington, D.C. region that serve thousands of disadvantaged individuals — from at-risk youth to teen parents. We alleviate a tremendous burden for our program partners by referring qualified mentors to them.